Will Austria and Hungary Form a New Powerhouse in Europe? Hungary has signaled its readiness to develop closer ties with the new Austrian government. Speaking to Sputnik, Norbert Freiherr van Handel, a member of the House of Habsburg-Lorraine, called for full-fledged cooperation between Vienna and the member states of what was once known as the Austro-Hungarian Empire. 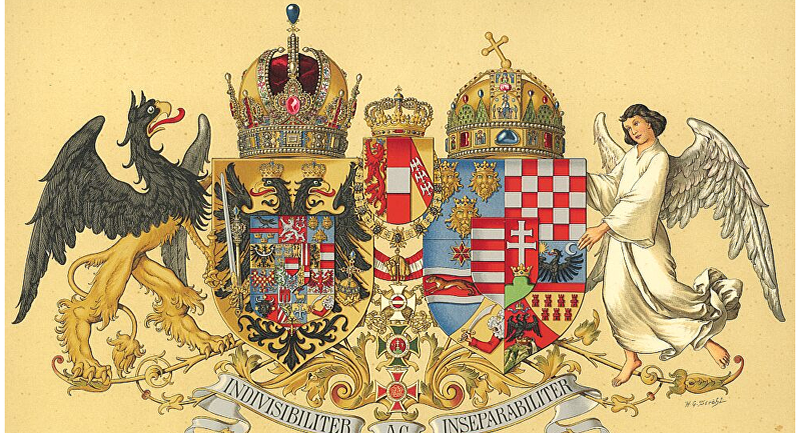 "I see, of course, not only Austria, but also the Czech Republic, Slovakia, Croatia and Slovenia, countries which managed to preserve friendly ties," Norbert Freiherr van Handel of the Habsburg-Lorraine dynasty said. He added that it is impossible to repeat history and that it was impossible to return to 1918, when the defeat of the Central Powers spelled an end to centuries of Habsburg rule. "But you can look at an economic space where people get along with each other — both culturally, and in terms of traditions, religions and their common history. And here, I think, we need closer political and economic cooperation," Van Handel said. He noted that Austria's neighbors Croatia, Slovenia and Northern Italy as well as Visegrad Group member states Poland, the Czech Republic, Slovakia and Hungary, are especially close to Vienna. These countries, which have been tied to each other for centuries, could form a community under the common keyword "Central Europe" and act within the EU as one state, according to Van Handel. — Patrick Dunleavy (@PJDunleavy) 28 октября 2017 г. It could tackle "the constant diktat of Germany and France, which angers the small countries of the European Union," he said. Van Handel was echoed by German political analyst Herbert Auinger, who told Sputnik that he does not expect a new Danube monarchy, but that the new positioning of Central European states is likely. — RgCh (@rguezcheca) 24 октября 2017 г. "A fresh positioning is expected throughout Europe, and the old Austrian prudence has already ended. You can remember Brexit and it becomes clear that each European state, including Austria, should realize with whom or against whom it is going to achieve something," Auinger said. Meanwhile, Austria's Chancellor-Elect Sebastian Kurz has ruled out his country's accession to the Visegrad Group, calling Austria the European Union's foothold. Kurtz emphasized that he wants close cooperation with Germany, France and other states as well as "good contacts with Eastern Europe." He said that it could contribute to defusing tensions in the European Union but that it does not indicate Austria's drive to join the Visegrad Group or any other such organization.